Hubs and I went out last night with some of our friends for Halloween. This is what we wore. 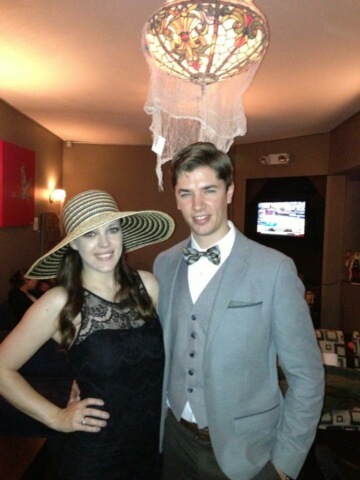 We went as Daisy Buchanan and Jay Gatsby. My hat kept hitting people in the face who were trying to order at the bar. Oh and I wore these super cute shoes to complete my ensemble. We saw some pretty cool costumes. 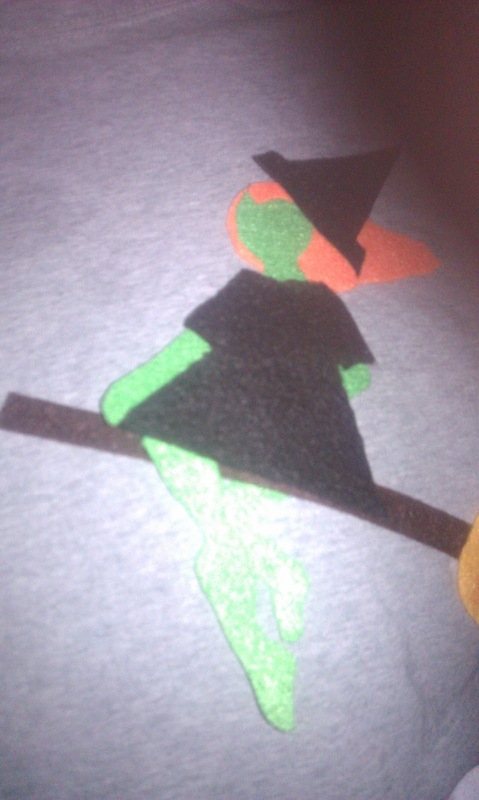 The guy appeared to have cut out felt shapes of Halloweeny stuff (witch, ghost, pumpkin) on his T-shirt. 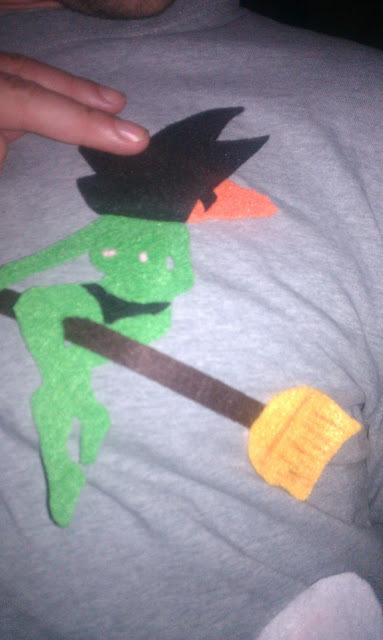 But upon further inspection, they were dirty felt figures. He had 5 or 6 of these figures glued to his shirt! All in all a hilarious night. What did you guys dress up as for Halloween?